The Dual Ridge is an exciting Tamiya R/C buggy, and this 4WD model is equally at home on- and off-road! 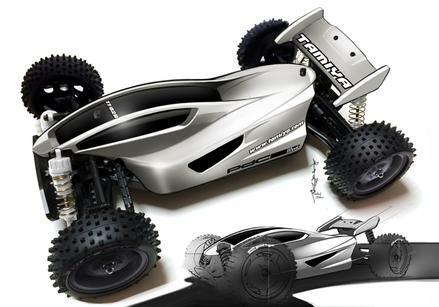 Tamiya enlisted Japanese design company pdc_designworks to create the body design, a stylish and futuristic layout which utilizes subtle curves and a front-oriented cockpit showing off the twin raised lines that give this model its name. The body combines with the sharp rear wing for aerodynamic form. The finishing touch is provided by the silver and blue stickers included in the kit. Designer Takayuki Yamazaki of pdc_designworks came up with the design for this model's body. A former employee of the world famous Honda organisation, he used his wealth of experience to create the flowing futuristic silhouette. 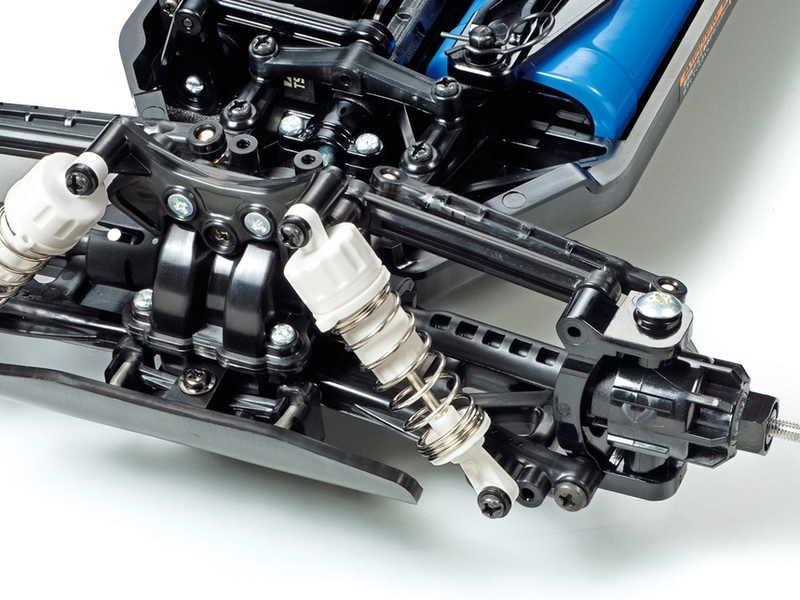 The shaft-driven 4WD TT-02B buggy chassis uses a skid-shaped frame. Its suspension setup uses 4-wheel independent double wishbone suspension with long arms, plus white CVA shock units, giving the car assured handling, while Left/Right suspension arms and uprights are identical to facilitate hassle-free assembly. Front/Rear gearboxes include 4-bevel differentials for smooth operation, and are sealed to ensure that dust can't get inside. 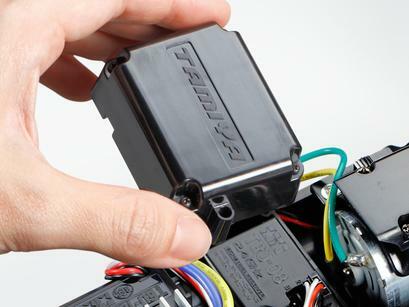 The top can be removed simply by loosening a few screws, making maintenance a breeze. 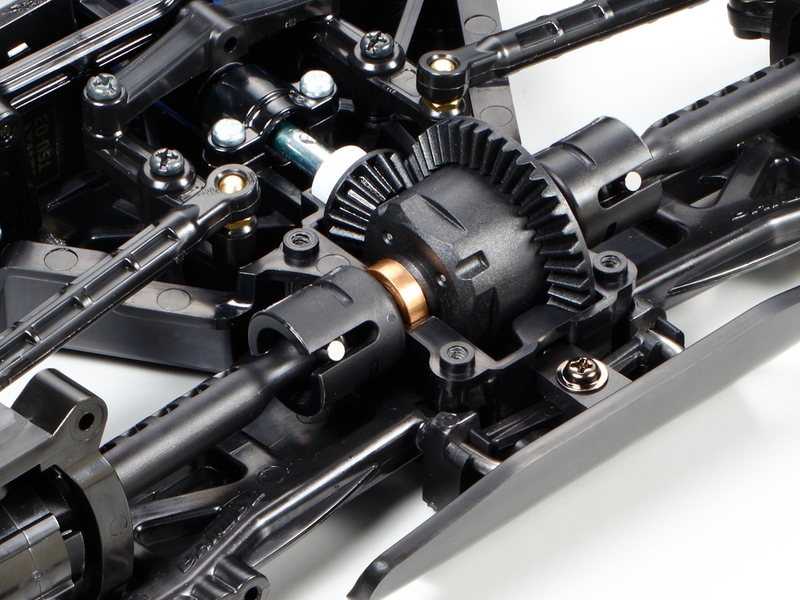 4 different gear ratios can be applied with the use of 3 separately-sold types of pinion gears, allowing you to match the characteristics of your car setup to the conditions at any given time. Of course, this off-road chassis also includes receiver case and motor cover to protect them from dirt and debris thrown up off of the track. Requires: 2-Channel radio, servo, 7.2 volt battery & compatible battery charger, and Tamiya PS polycarbonate paint to complete the kit. 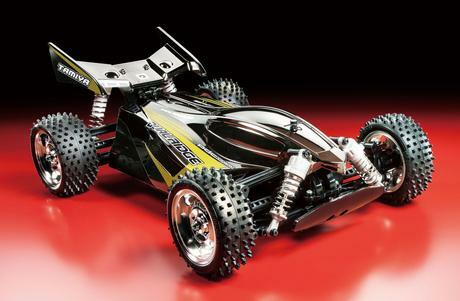 Requires A 2-channel radio, steering servo, 7.2volt battery & battery charger, and Tamiya PS paint. Special Feature 1 Bathtub-type frame features longitudinally-placed battery and R/C mechanism placed flat for a low center of gravity. Special Feature 2 4-wheel double wishbone suspension features long arms and oil-filled CVA shock units, and is combined with high-grip spiked tires to give excellent traction. Special Feature 3 Front and rear gearboxes have differentials to ensure smooth cornering. 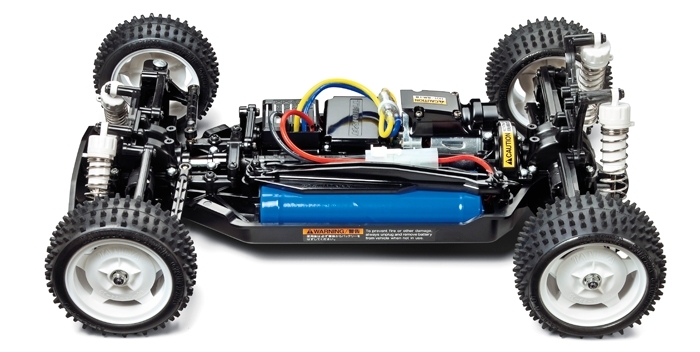 Special Feature 4 Includes the Tamiya TBLE-02S ESC (Tamiya Brushless Sensored ESC) Capable of running sensored brushless motors and brushed motors alike. 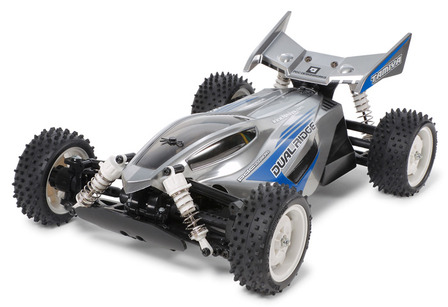 Special Feature 5 Includes a Tamiya Torque Tuned brushed motor.